With this school year coming to an end, I’am reminding parents not to focus too much on their children’s end of the year results. 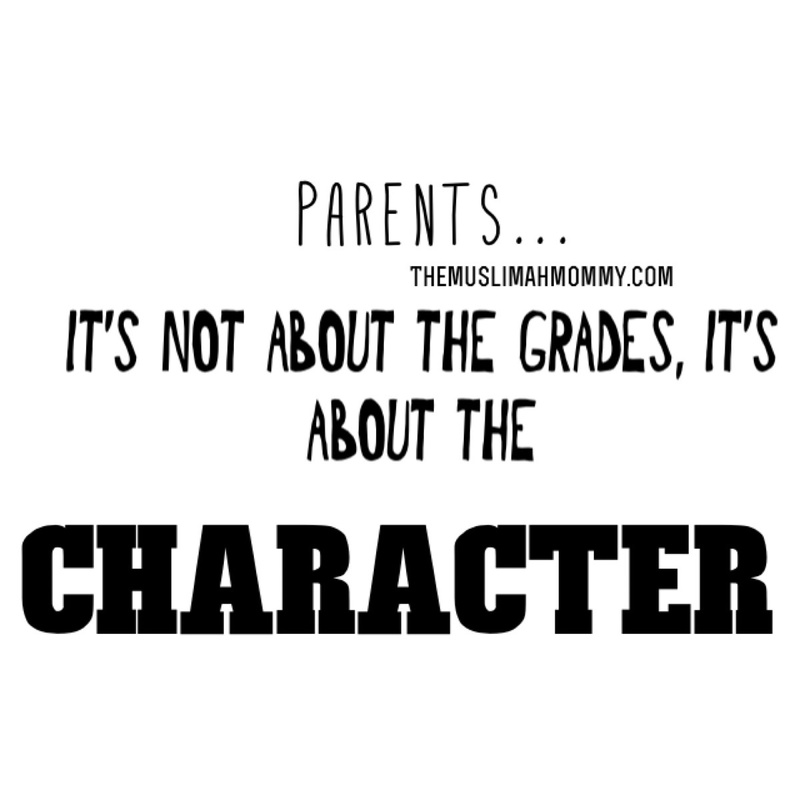 Yes, you may be proud of the fact that your children got straight-A’s, or you might be upset that they got all C’s, but please don’t let their grades define who your children really are. After all, in my opinion, grades (although important) are a small part of their identity. This year, sit down with your children and ask them how many fellow students they helped throughout the school year. Ask your children if they played with the new student in class because they noticed he or she was lonely. Ask your children if they stopped anyone from from bullying. Ask your children if they used their manners towards fellow classmates and their teacher. Ask your children if they noticed a student who forgot his or her lunch, did they offer something to eat to that student? Ask your children what they did when they noticed an injured person during recess, did they help that student or get a supervisor to help? Inquire about any good deeds they did for the environment. For instance, did your children help clean up the school park? Did your children recycle throughout the school year? Ask your children if they helped water the plants in the classroom. Wouldn’t it be nice if we, as parents, focused more on the CHARACTER of our children, rather than a letter grade on a piece of paper? Not only would this take away the pressure of sharing your children’s grades with others, but it would make us realize that our children go to school for themselves- NOT for us to showcase their grades to the world. In addition, what happens when we discuss one child’s excellent grades with others, and we don’t discuss the poor grades of our other child, is that the child with the poor grades feels like they have failed in the eyes of their parents! That child, with the poor grades, will feel like they are not special enough to be discussed! This is why it is important to sit down with your children and praise them for how good their character was throughout the school year. Let your children know that, regardless of what grades they got on their report card, all the good deeds they did in the school year are fundamental to becoming a great citizen of their society- and that’s what is most important! I completely agree with your mind , Sis!, Build a good character is more important than the grade. Thank you for it. That’s absolutely right sister 🙂 we need to encourage and build our children’s character, it’s so important! Thanks for sharing it, My sis!! I love it! Really..really agree with it. Our prophet Muhammad ( PBUH ) was delegated to this world for perfecting the character/ manner.